We developed a brand world based on a mood board full of misty meadows, elegant beauty and the fragility of nature. 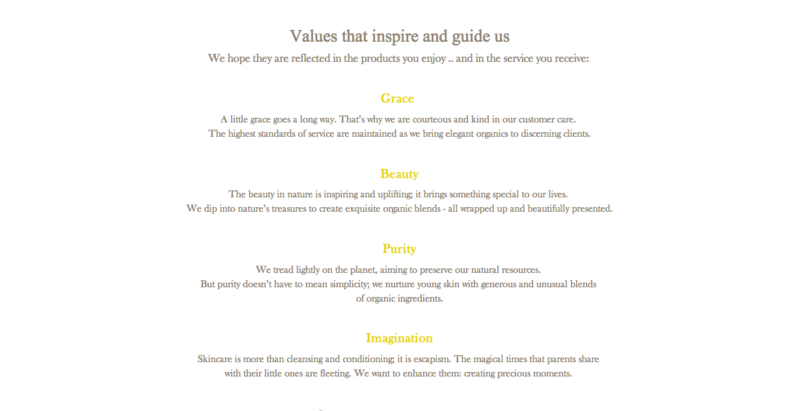 Based on this, I developed the strapline ‘Dreamy organics for heavenly babies’, defined the tone of voice and worked closely with Gudrun to decide on values: grace, beauty, purity and imagination. 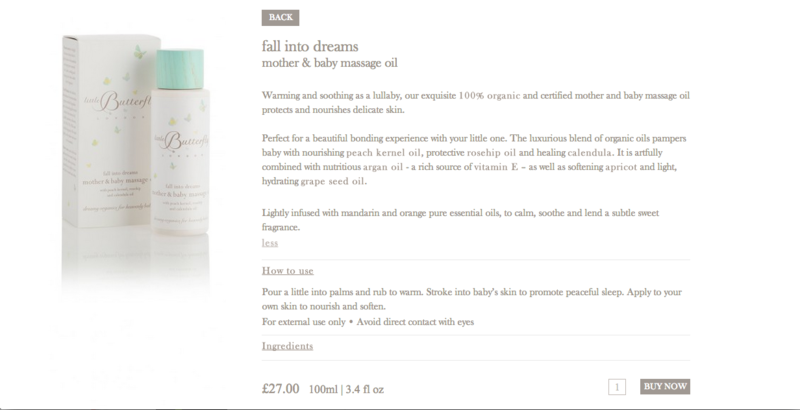 Based on the final products, I created product names that do justice to the high quality, imaginatively blended ingredients: dewdrops at dawn body lotion, bubbles in the breeze top to toe wash, soft as moonlight nappy change cream, floating on clouds bedtime bathmilk, fall into dreams mother & baby massage oil. The next step was to write copy for the packaging. Colloborating with designer Reseigh Fooks, I wrote the content to fit the bespoke packaging design, manufactured with premium recyclable materials. The result is that the Little Butterfly brand spirit shines through in every word – even down to the instructions. 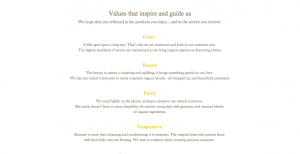 For the website, I carried through the tone of voice, so that customers can tiptoe around the world of Little Butterfly as they read the ‘Once upon a time’ brand story and the ‘Little Whispers’ blog. Preparing for launch of this premium skincare range, other projects included the naming of gift bags: little delights, dreamy days and full of joy, advertising copy and words for the Little Butterfly exhibition stand.